His figurative oil paintings represent past experiences of Mason’s, making each painting overflow with meaning and context. For example, one of his newest series shows romance, lust and love from a very young age to old age. 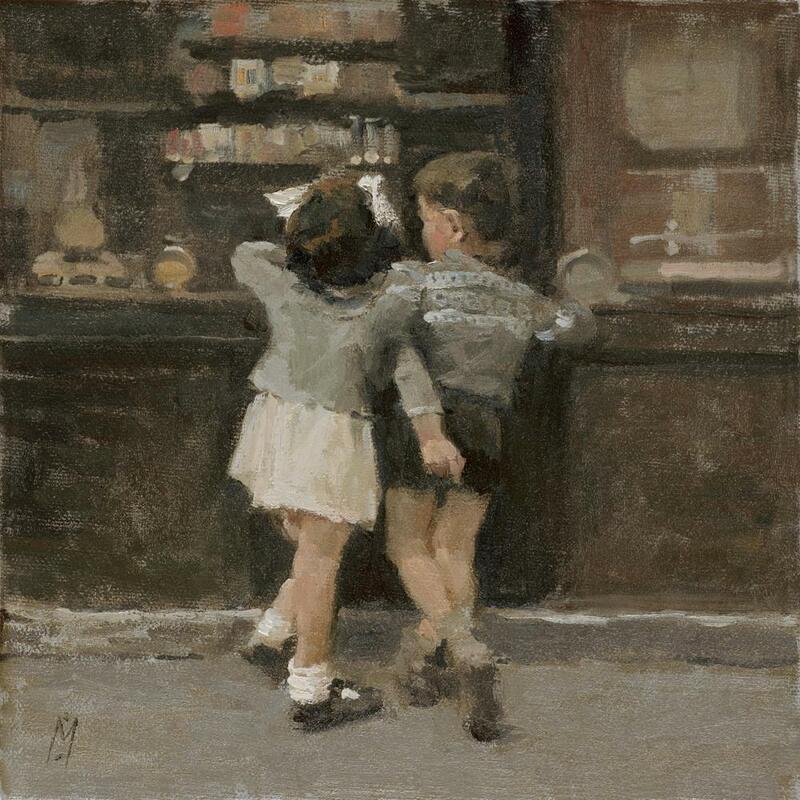 ‘Sweet shop’ shows two young children, expressing their youthful innocence as they peer over the counter of a sweet shop, an image we are all familiar too. 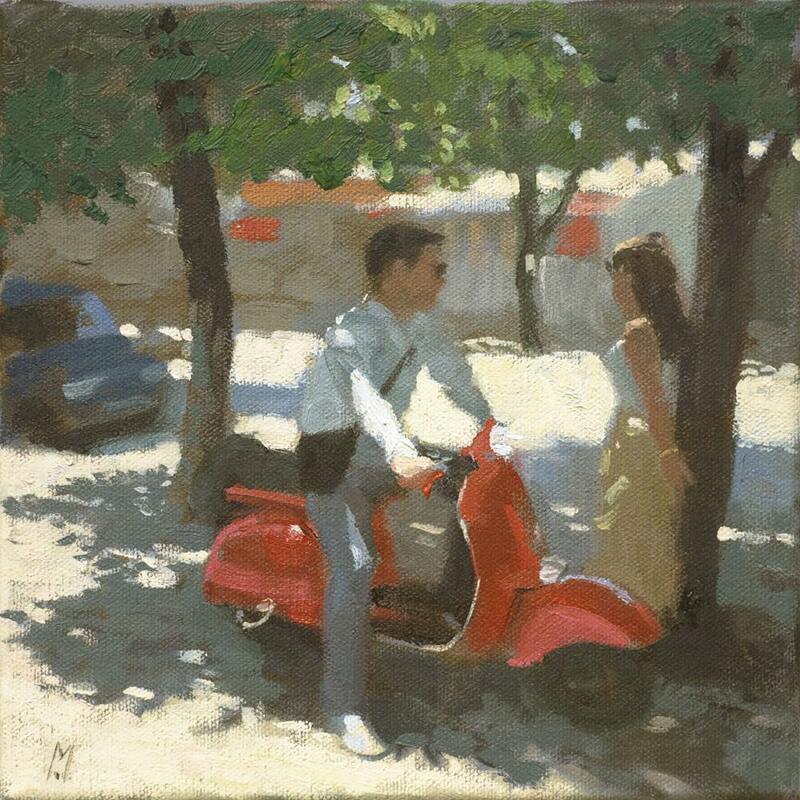 In ‘Couples’, the second painting of the romance series, Mason captures perfectly teenage lust. After speaking to him, it is clear that this image is one from his teenage years where he remembers lusting over beautiful young women at the beach. ‘Fond Farewell’ is one of those classics that resonates World War imagery. Although it was drawn from a 21st century photograph, by adding in a floral petticoat and white socks, Mason creates a timeless scene. 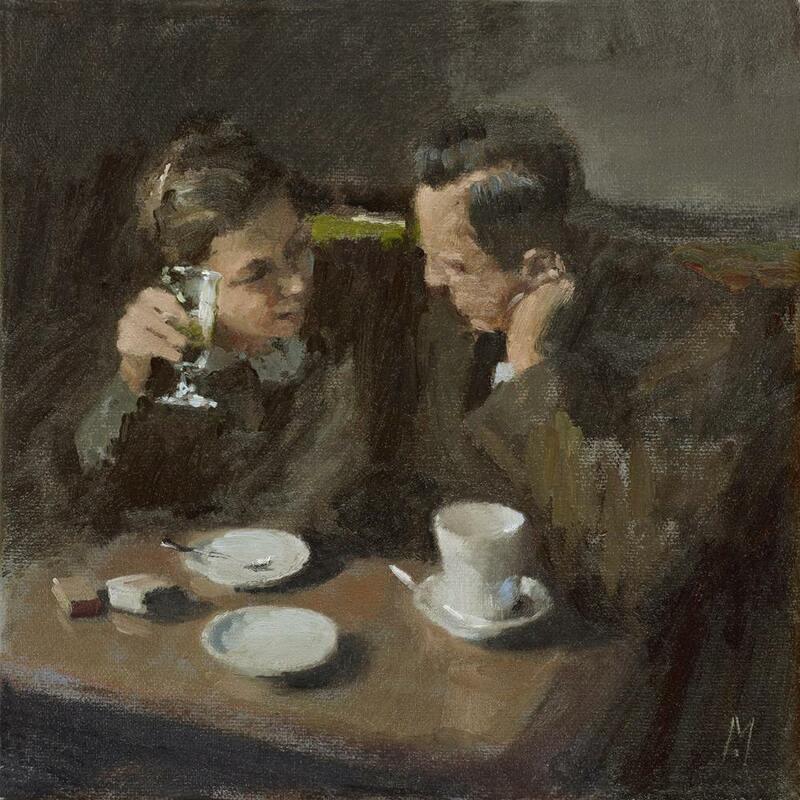 ‘Cosy chat’ is a scene we all aspire too, to find a love we can share experiences with even in old age. I love this collection of imagery, it’s heavy use of impasto means we can see the expressive brushstrokes which just adds to the beautiful memories. I think his impressionist use of oil paint also shows the potential blurriness of his memory of these scenes. We all know that when we try to remember things of our childhood we can only remember snapshots in time, snippets of memory that fade away before we can decipher what actually happened. This fragmented reality of memory resonates in these snapshots, and his use of thick paint suggests that he was quickly painting so that he could accurately create an image of memory before it disappears. 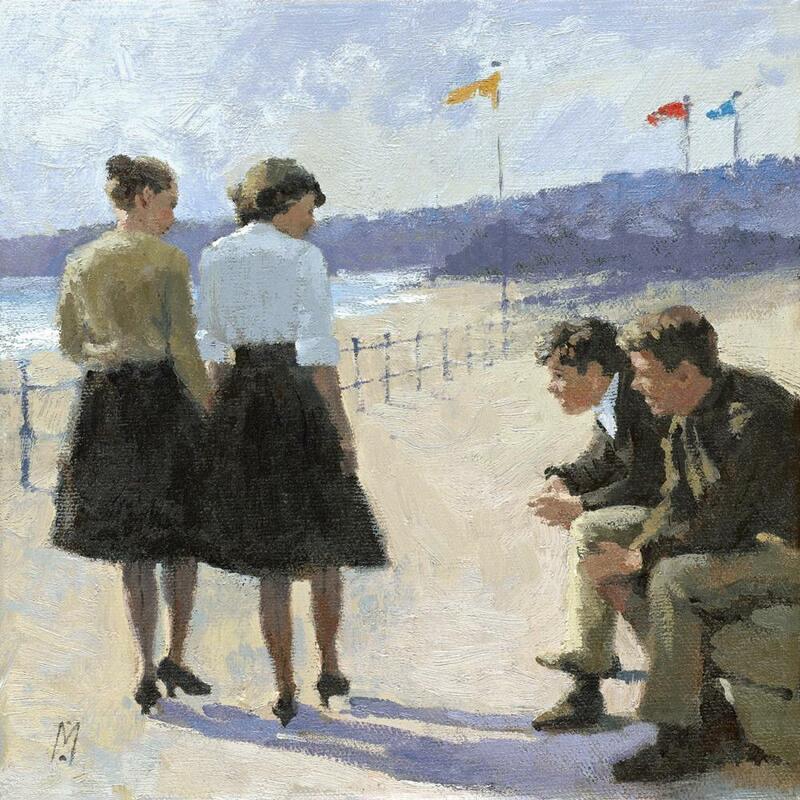 His use of paint is gorgeous, timeless and emotive. Whether you like Monet, Velázquez or even Derek Jarman – Mason is up there in the artists who handle thick impasto with incredible genius. His clever colour palette relives memories in the sense that we remember those bold, bright colours, and everything else is fairly subdued. His reds, blues and whites shout at us and then his browns relax us. His exploitation of memory and familiar scenes make his art relatable and timeless. While his art is sadly only in York for a week, I highly recommend giving it a look when you’re in town. If not, his art is just a google away.